From time to time I run across people that restore my faith in humanity. Such was the case this weekend. Other Half and I were driving home from the north ranch when we discovered there were no running lights on the horse trailer, and the sun was going down. Although we hustled to a trailer company along our route, we arrived just in time to see them closing up and driving out of the parking lot. Never one to take "no" at face value, Other Half pulled into the lot anyway. Wonder of wonders, they stopped. They came back. They peeked at the trailer and then called their electrician BACK IN from home! 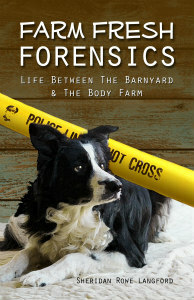 And while I stood in the parking lot with four dogs on leashes (not a real picnic there!) they fixed the lights on the trailer so we could get back on the road. Then the most remarkable thing happened . . .
. . . They refused payment. This company had remained opened, called someone in after hours, and yet, they still refused to accept payment for a simple fix. Wow. They have just earned themselves lifetime customers. 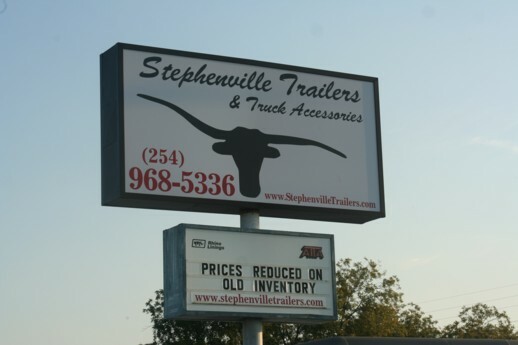 Stephenville Trailers, in Stephenville, TX, sells horse trailers, truck beds, Ranch Hand bumpers, and all manner of stuff for the rancher. If you live in Texas any where near that area, and are looking for an honest vender, I heartily recommend these people. Stephenville Trailers is located in the heart of Horse Country. Until that evening we had never been customers of Stephenville Trailers. We'd just passed them on the highway. Through their integrity and work ethics, they have now earned all our business. If you're anywhere close to Stephenville, try 'em. If you own your own business, take note. That extra thirty minutes after closing time 'could' be the most important advertising you do! What a lovely experience-hope it cancels out one of the negative human nastiness you experienced in that horrendous accident a while back.